I have a colleague of mine who is an Italian. He is calling companies and offering them… whatever he is pitching at the moment. Listening to his flow (my Italian is not that good, or that bad, depending on perspective), I can tell cold calling is not detested in Italy. He seems to be getting NO’s but polite NO’s. Moreover, when there’s a interested party, the call can go on for 30 minutes at least. They would go through a demo, then talk about different scenarios, and finally discuss what the next steps are. Something worth considering when you’re thinking about your corporate sales strategy for Italy. Other Mediterranean countries could be similar in this regard. Riftforge is an online RPG with tactical combat. The campaign raises $2730 to develop three end-game campaigns that culminate in an epic boss battle. November 14, 2013 – Riftforge, an ambitious fantasy online role-playing game, has launched an Indiegogo campaign. The $2730 will be used to finish the game by adding two grand campaigns as well as a special super-monster campaign. Riftforge has been in development for four years, the last two in open playtest mode. It has a quarter million beta signups and over 44,000 Facebook fans. The game features tactical combat in over a hundred handcrafted missions. In addition to the singleplayer content, Riftforge has an active multiplayer Arena. Riftforge is the game world’s central location. It is a hub structure that seemingly exists out of space and time. With the new content, players will be able to go through the Rift to explore three new warzones and interact with their inhabitants. True to genre conventions, the majority of those inhabitants are both hostile and dangerous, thus the “Kill them all” slogan. Riftforge is a cloud-based roleplaying platform for gamers passionate about tactical combat. The game client is HTML5 and the platform is accessible on all devices with a modern browser. Microsoft has been kind enough to lend us a Window tablet, so we can make sure that Riftforge runs on Windows. In some ways, it runs better than it does on an iPad. Maybe the new iPad Air with it’s A7 processor will not lag when executing HTML5, but that remains to be seen. Next: Testing Riftforge on Windows 8.1 and IE 11. 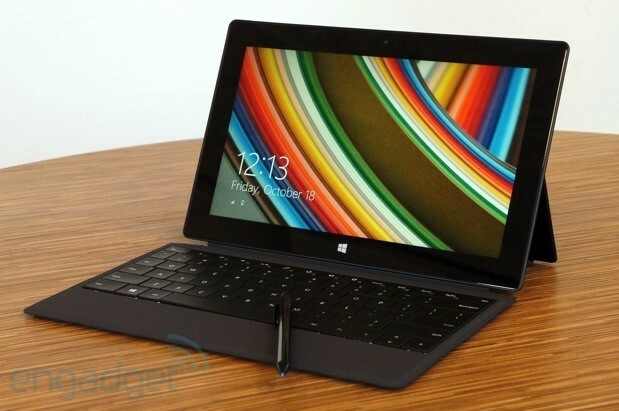 Preferably on a Surface 2 Pro. P.S. Check out Jabborate on Surface tablets (with SharePoint). 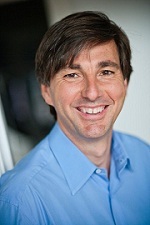 Don Mattrick’s jump from Xbox chief to Zynga CEO left many observers stunned this week. Why would he make this move? And what exactly does this mean for Zynga’s future? For one, I’m not stunned in the slightest. After Andrew Mason “left” Groupon, it was only a matter of time (one quarter) for Mark Pincus to move on. I’m always surprised when observers are stunned when someone goes from a division that has experienced its zenith to a company that is in its nadir. Makes no sense to a salary man but it’s great for a person with a career. Daniel Kahneman explained this lazy thinking process that assumes unlimited growth (or unfathomable depths) in Thinking, Fast and Slow. There’s a much simpler “truth”: you sell the highs, you buy the lows. Zynga is at its lowest, Don is interested in buying. Xbox has seen its dominance shaken with E3 fiasco, he’s selling it as quickly as possible. The real question is… how do you mix oil and water. You had Mark Pincus confess he cut every corner and broke every business rule to ensure revenue, i.e. he focused on the short term with total disregard to long-term consequences. Now these consequences are upon Zynga. Don had his success with Xbox precisely because Microsoft’s deep pockets allowed him the luxury of long-term decision-making. He built strong game franchises exclusive to Xbox and he also priced the Xbox aggressively and always cut the price before the competition had the chance to do so. I’m not sure you can mix the two approaches but one thing is certain, Zynga can’t go any lower. So it must go up. Phil Schiller did something unexpected at the WWDC 2013. The first unexpected thing was him addressing Apple critics (as well as Wallstreet naysayers). The second thing was him dropping the S-bomb. Definitely, absolutely a must see. Rewind to 2:30 if you’re the impatient type. P.S. Speaking of innovation, how about my pet project: adding real-time communication (via Jabber SDK) to IBM Connection.